PLEASE READ THESE TERMS AND CONDITIONS CAREFULLY. THE TERMS AND CONDITIONS MAY HAVE CHANGED SINCE YOUR LAST VISIT TO THIS WEBSITE. BY ACCESSING OR USING THIS WEBSITE, YOU AGREE TO BE BOUND BY THE TERMS AND CONDITIONS. IF YOU DO NOT AGREE TO ALL OF THE TERMS AND CONDITIONS, DO NOT USE THIS WEBSITE. Effective Date: The Terms and Conditions were last updated on 4th October 2014. The following are the Terms and Conditions for access to our website and all linked pages (“the Site”) and the use of this service. 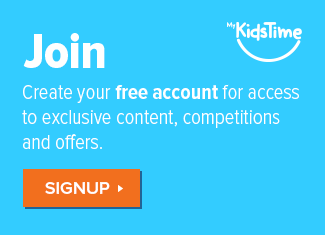 By registering as a Contributor with MyKidsTime, you agree to accept the Terms and conditions. You will comply with the restrictions on content of published messages and activities using the Site as set forth in the Terms and Conditions. The Site is provided subject to the Terms and Conditions and any guidelines, rules or operating policies that may be established and published from time to time, including without limitation our Privacy Statement. The Terms and Conditions may be modified, revised or discontinued (in whole or in part) in our sole discretion by publishing updated versions on the Site, or otherwise providing notice to you. Children under the age of 18 are not permitted to register as a contributor. If you do not qualify, you are not permitted to submit content. Using the Site as a registered contributor is subject to our approval of your registration application and your continued compliance with the Terms and Conditions. In order to apply for registration, you have to complete our application form, submit tentative articles if requested, and check the “I ACCEPT” box to agree to the Terms and Conditions. Upon reviewing the application, we will respond via email, accepting or declining your application. This Agreement will commence on the date you receive an email from us confirming that you are a registered contributor. By registering with the Site as a contributor, you represent that you are at least 18 years of age and that the information which you provide about yourself is true, accurate, current and complete, and you agree to all of the following: (a) that you will participate by submitting articles on approved topics; (b) that you will not appoint an agent for application or article writing purposes; (c) that you will not hold multiple registrations on MyKidsTime unless expressly authorized in writing by us (including by email); and (d) that we may use your name to refer to you within the website and other marketing material such as presentations. As a registered contributor on the Site, you agree to comply with the specifications provided by us from time to time to enable proper display, publication of your articles. All submissions must be your original content, ideally with a minimum of 500 words. As a registered contributor you agree to supply at least one article per month. While you retain the right to publish your submissions in any media at your own discretion, it is expected that you will allow for a period of two weeks between the submission being published on MyKidsTime for the first time and the submission being displayed or published elsewhere. We reserve the right to edit your articles in their entirety and may also, from time to time, request you to rewrite your articles for them to be published. Not all the articles you submit will be published on MyKidsTime.com. Publication will depend on a variety of factors, including but not limited to, our editorial preferences, relevance, originality and readers’ requests. Reasonable efforts will be made by us to keep you up to date on the topics or characteristics of the articles that are prone to publication. As a contributor, you are responsible for your articles, online activities on the Site and adherence to the Terms and Conditions. We reserve the right to investigate, in our sole discretion, any activity that may violate this Agreement. We are not responsible for any consequences arising from publishing your submissions or for your online activity. If you wish to stop being a Contributor please inform us by email of your intention to quit. Engage in any libellous, defamatory, scandalous, threatening or harassing activity. Engage in any activity which reflects poorly on the reputation or goodwill of MyKidsTime, its owners, operators, associates, contractors or advertisers. We reserve the right to suspend, terminate or otherwise disable your access to the Site, immediately and without giving any notice to you and without paying any compensation to you, at any time, for no reason or for any reason whatsoever, including but not limited to, if we believe in our sole discretion that you are not in compliance with all of the provisions of the Terms and Conditions. By uploading, submitting or otherwise disclosing or distributing content for display or inclusion on the Site, you agree to all of the following: (a) that your submissions are not confidential; (b) that you own all rights in the content; (c) that your submissions do not infringe, misappropriate or violate the intellectual property rights of any other person; and (d) that you are granting MyKidsTime (and its assignees) a royalty-free, perpetual, irrevocable, non-exclusive right and license to use, reproduce, modify, adapt, publish, translate, distribute, transmit, publicly display, publicly perform, sublicense, create derivative works from, transfer, and sell your submissions to the Site (in whole or part) worldwide and/or to incorporate your submissions in other works in any form, media, or technology whether now known or later developed. This Site may contain hyperlinks to non-MyKidsTime websites. These links are provided to you as a convenience, and we are not responsible for the content or availability of any linked website. We have no control over the content of any independent websites accessed from this Site. We are not responsible or liable for any damage or loss caused by or in connection with use of or reliance on any such content, goods or services available on or through any such site or resource. In no event shall any link or other reference to any third party or third party content, product or service be construed as an approval or endorsement by MyKidsTime of that third party or of any content, product or service provided by a third party. You shall use the Site only in compliance with the Terms and Conditions, the CAN-SPAM Act of 2003 and all other applicable laws (including but not limited to policies and laws related to spamming, privacy, obscenity, defamation and child protective email address registries). Although we have no obligation to monitor the content provided by you or your use of the Site, we may do so and may block any email messages, remove any content or prohibit any use of the Site that we believe may be in violation of the foregoing. You hereby agree to defend, indemnify and hold blameless MyKidsTime, its owners, officers, directors, employees, business partners, assignees, licensors, distributors, agents and third-party suppliers and providers against any damages, losses, liabilities, settlements, and expenses (including without limitation costs and reasonable attorneys’ fees) in connection with any claim or action that: (a) arises from any alleged breach of the Terms and Conditions; (b) arises from any content or messages you submit to the Site; or (c) otherwise arises from or relates to your use of the Site. In addition, you acknowledge and agree that we have the right to seek damages when you use the Site for unlawful purposes, in an unlawful manner, and/or in a manner inconsistent with the Terms and Conditions, and that such damages may include, without limitation, direct, indirect, special, incidental and consequential damages. TO THE MAXIMUM EXTENT PERMITTED BY LAW, UNDER NO CIRCUMSTANCES SHALL MYKIDSTIME, ITS OWNERS OR ANY OF ITS UNDERLYING SERVICE PROVIDERS, BUSINESS PARTNERS, INFORMATION PROVIDERS, ACCOUNT PROVIDERS, LICENSORS, OFFICERS, DIRECTORS, EMPLOYEES, DISTRIBUTORS OR AGENTS (COLLECTIVELY REFERRED TO FOR PURPOSES OF THIS SECTION AS “MYKIDSTIME”) BE LIABLE TO YOU OR ANY OTHER PERSON FOR ANY MONEY DAMAGES, WHETHER DIRECT, INDIRECT, SPECIAL, INCIDENTAL, OR CONSEQUENTIAL DAMAGES, EVEN IF MYKIDSTIME SHALL HAVE BEEN INFORMED OF THE POSSIBILITY OF SUCH DAMAGES. IN THE EVENT THAT, NOTWITHSTANDING THE FOREGOING, MYKIDSTIME IS FOUND LIABLE TO YOU FOR DAMAGES FROM ANY CAUSE WHATSOEVER, THE MAXIMUM AGGREGATE LIABILITY OF MYKIDSTIME TO YOU ARISING IN CONNECTION WITH THE TERMS AND CONDITIONS SHALL BE LIMITED TO €100. SOME JURISDICTIONS DO NOT ALLOW THE LIMITATION OF DAMAGES, SO THIS LIMITATION MAY NOT APPLY TO YOU. “Mykidstime”, the Mykidstime logo, voting buttons, widgets and other visual elements relating to Mykidstime appearing in this Site are trademarks of Mykidstime Ltd in Ireland and other countries. If any provision of the Terms and Conditions is found to be unenforceable or invalid, that provision will be limited or eliminated to the minimum extent necessary so that the Terms and Conditions will otherwise remain in full force and effect. The Terms and Conditions are the complete and exclusive statement of the mutual understanding of the parties. They supersede and cancel all previous written and oral agreements, communications, and other understandings relating to the subject matter covered herein. All waivers and modifications must be in a writing signed by both parties, except as otherwise provided herein. No delay or omission by either party in exercising any right or remedy under the Terms and Conditions or existing at law or equity shall be considered a waiver of such right or remedy. No agency, partnership, joint venture, or employment relationship is created as a result of the Terms and Conditions, and you do not have any authority of any kind to bind Mykidstime in any respect whatsoever. In any action or proceeding to enforce rights under the Terms and Conditions, the prevailing party will be entitled to recover its costs and solicitor fees. The Terms and Conditions shall be governed by the laws of Ireland with regard to choice or law or conflict of law provisions. All legal actions in connection with the Terms and Conditions shall be brought in Ireland. Mykidstime Ltd is a limited liability company registered in Dublin, Ireland that owns and operates the www.mykidstime.com website. You may contact us directly if you have any questions regarding the content and material on the Site or if you have any questions about our Terms and Conditions. Please contact us by email at [email protected] or contact us at Mykidstime Ltd, 24 Oran Glen, Oranmore, Co. Galway, Ireland.